Composite decking is a fantastic, hard-wearing and recycled decking board material for a range of uses. No staining or painting is required, making composite decking an affordable, maintenance-free alternative to timber decking. Fix Direct are exclusive Fiberon UK composite decking suppliers, providing only the best solid composite deck boards. Made from maple wood by-product and recycled plastic, our wood plastic composite decking (WPC) gives long-lasting use and a superior finish. 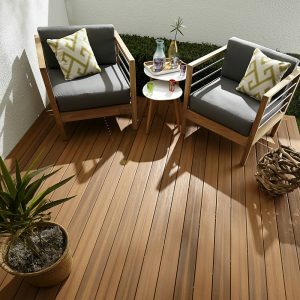 All our decking is naturally insect-resistant and outperforms timber against weather, warping, splintering and decay. 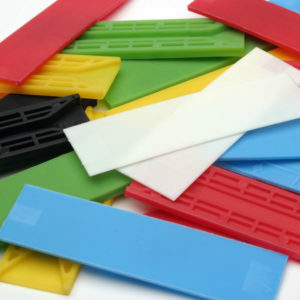 Buy composite decking from Fix Direct at great prices. We ship across the UK and provide next day delivery. 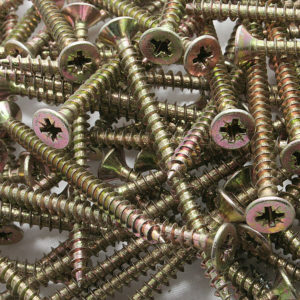 Don’t forget, you can also purchase composite joists, composite balustrade and other decking accessories online too. Need A Quote For Your Decking Project? 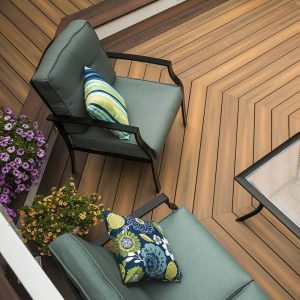 There’s no need to paint, stain, or seal Horizon composite decking; simply choose from five beautiful, multi-chromatic, colours which have deeply embossed wood grain patterns on either side. 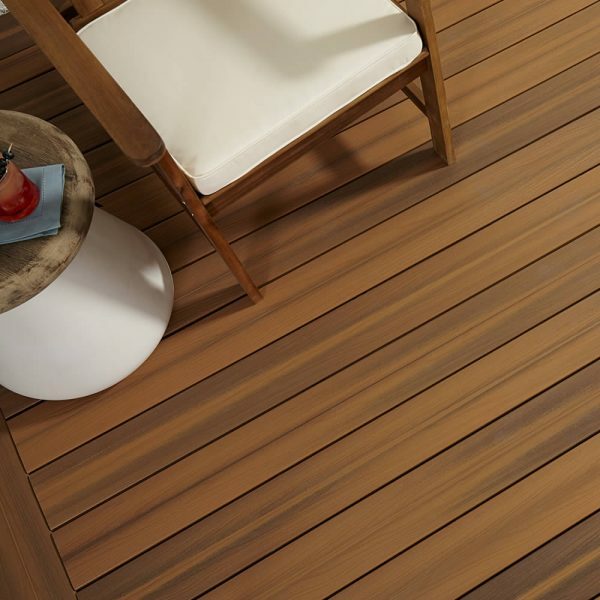 Reversible by design, Horizon features a different pattern on the top and bottom of each decking board. This allows you to vary the finish of your deck for a natural look. There are four different grain patterns used with Horizon composite deck boards. The grain patterns and colour streaking repeat every 21 meters ensuring a natural-looking wood finish. The PermaTech surface is formulated for toughness and tensile strength. This highly engineered, wood polymer composite decking product, is designed to resist wear and tear and the elements, for years to come; making it a popular choice for use in the home and commercially. Sanctuary composite decking is available in three rich multi-chromatic colours: Latte, Espresso, and Early Grey. There’s no need to carry out any additional painting, staining, or sealing on our composite decking as they are delivered ready-to-install in your chosen colour. These composite decking boards feature a natural-looking, deep wood grain which delivers a high level of traction when compared to traditional timber/wood decking. Our Sanctuary deck boards are wrapped on three sides with our tough-as-nails PermaTech protective surface. PermaTech provides your composite decking with superior tensile strength and toughness. 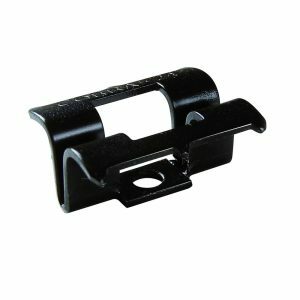 It’s scratch, scuff, splinter, and crack resistant and will stand up to even the harshest buffeting from the elements. This is backed by a 25-year warranty against stain and fade. 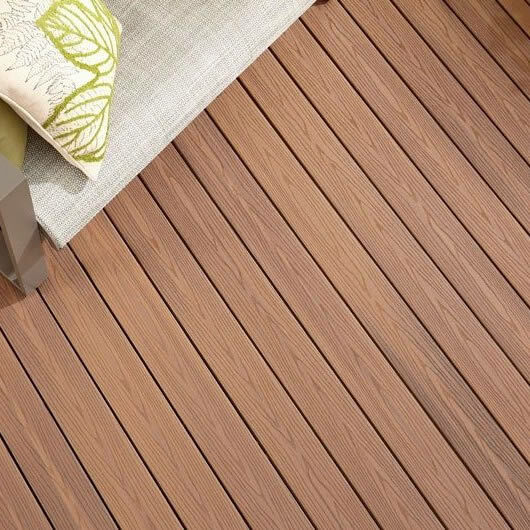 Overall, this latest decking range has great looks, performance and easy maintenance. Our safest decking yet; both sides of our Fiberon Xtreme Advantage composite decking boards are embossed with a realistic wood grain pattern and textured with Micro-Dome Technology. The Micro-Dome surface is embellished with tiny grooves that channel away water from under your feet. 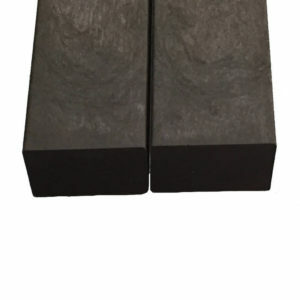 The peaks of these grooves are rounded at the top, not pointed like other deck boards, so they are not as susceptible to breaking off during heavy wear. The result is composite decking that offers unparalleled traction, resists surface scratches and will stay beautiful for years to come. 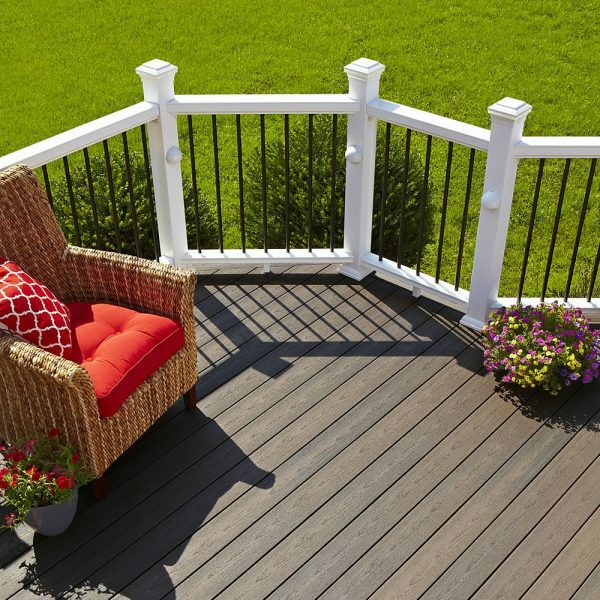 Xtreme Advantage composite decking heralds a genuine advancement in the composite wood market. The surface features a PermaTech coating, which offers amazing protection against daily wear and tear and fading from UV exposure. A polyethylene film protects the decking surface, making it completely watertight and prevents staining from mud, fat, grease and ketchup. Composite railing can be an attractive addition to your decking, acting as both a safety precaution and a feature of your outdoor space. Not only do our railings look fantastic as they frame your composite decking, they can also provide you with extra safety. Composite decking balustrade is the perfect precaution for children who are playing on the decking as they act as a barrier, but they can also help those with less mobility by giving them something to hold onto when stepping outside. Fiberon composite railings are strong enough to act as a support and are extremely durable against harsh weather conditions, keeping a smart, attractive aesthetic for years after installation. 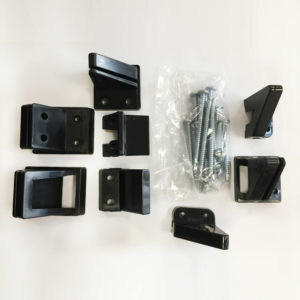 Finish off your decking balustrade with our Post Sleeve Kit, which provides extra safety and support for the whole family. When building your decking, the little details can make a big difference. 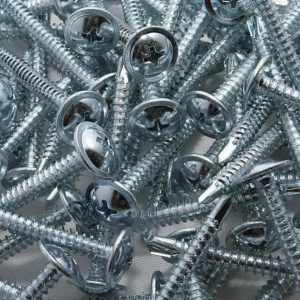 Our range of hidden fasteners keeps deck boards secure and provides a smooth surface that’s a treat for your eyes as well as your toes. 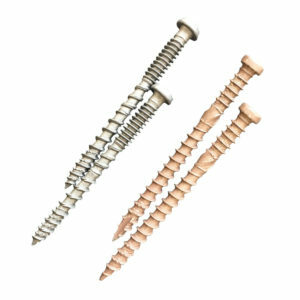 If you prefer a more traditional approach, our board starter screws are the perfect complement for your composite decking boards. 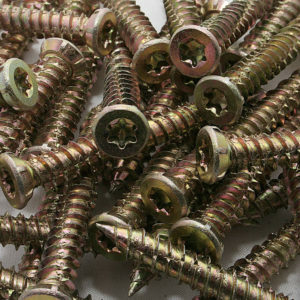 These screws provide a tight grip keeping your decking in place and are available in two colours for a discreet finish. 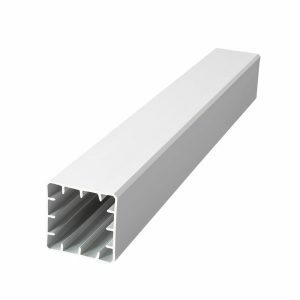 If you require a support system for your decking, our composite joists are made from 100% recycled plastic and will serve their purpose indefinitely as they will never rot, giving you peace of mind. 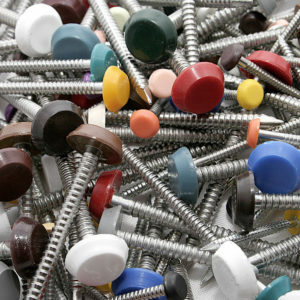 Make your composite decking look great by hiding fasteners. 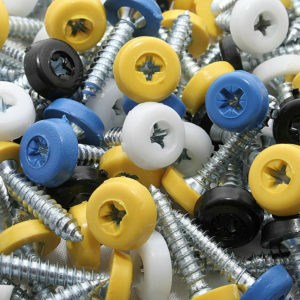 Our hidden fasteners can be used with groove-sided decking boards for a smooth decking surface. 98.5% of all material waste is recovered from manufacturing to create our recycled composite decking. Closed loop water cooling systems prevent excessive usage of water, for even more benefits for the environment. Although slightly more expensive than timber decking, composite decking is more durable and only needs minimal maintenance. No need for painting! Save time and money - wood/timber decking requires treating annually at a cost from £20 to £40 per 5 litres of oil. With great traction in both wet and dry weather, you can rest-assured that your highly efficient composite decking is great in all weather and receives far less damage than timber/wood decking boards. Our high quality composite decking is made from recycled domestic Maple wood by-product recovered from flooring and furniture combine with recycled plastic, saving trees. No toxic additives are used. Composite decking has great non-slip properties, meaning it is far safer than timber decking, which can be dangerous when wet. Fix Direct commissioned a slip test to be done in the UK (BS7976-2 by Grip Potential UK) to prove the benefits of our composite decking. Where Is Composite Decking Used? What IS Composite Decking ? 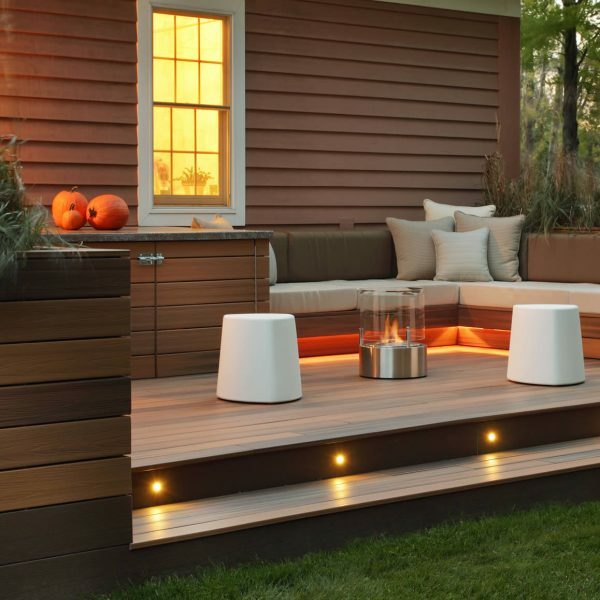 Composite decking is the alternative, contemporary choice for wood decking in the market. It has a much longer lifespan as it is incredibly low maintenance when compared to wood decking. 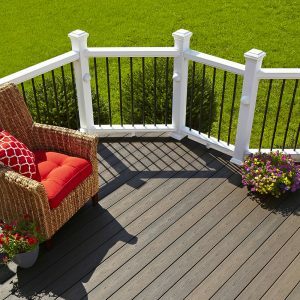 What’s the difference between composite DECKING and wood decking ? 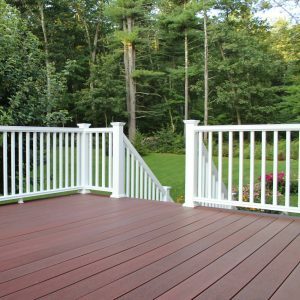 Composite decking is more durable and low maintenance compared with regular wood decking. Developments in composite decking mean that manufacturers are able to create varied wood grain patterns and subtle streaking. What is composite decking made from ? 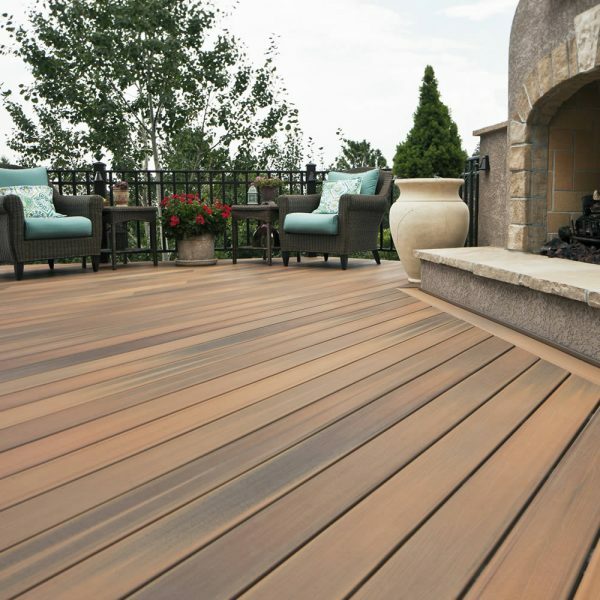 Composite decking is created from recycled domestic Maple wood by-product combined with recycled plastic. How do I look after my COMPOSITE decking ? Composite decking is low maintenance and does not require staining, sanding, sealing or any board replacements. 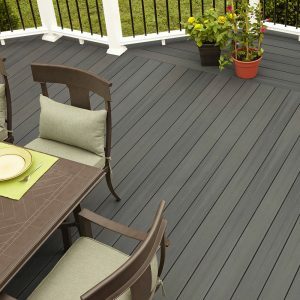 How long does composite decking last ? 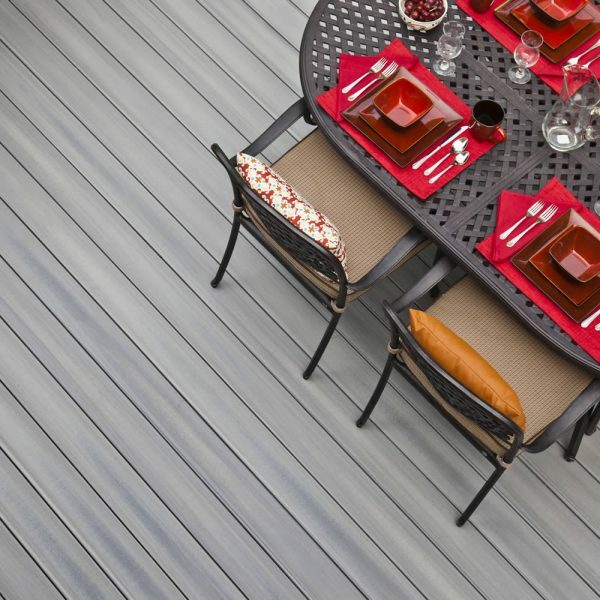 Composite decking is weather, insect, and rot resistant, making it last for up to 25 years. We supply solid composite decking to last longer and perform better. How will I know how many boards I need ? Will composite decking easily stain and fade? Our new generation of capped composite decking is stain and fade resistant compared to uncapped composite decking.  © Copyright 2019 Fix Direct. All rights Reserved. Fibreon is a registered trademark of Fibreon Inc.